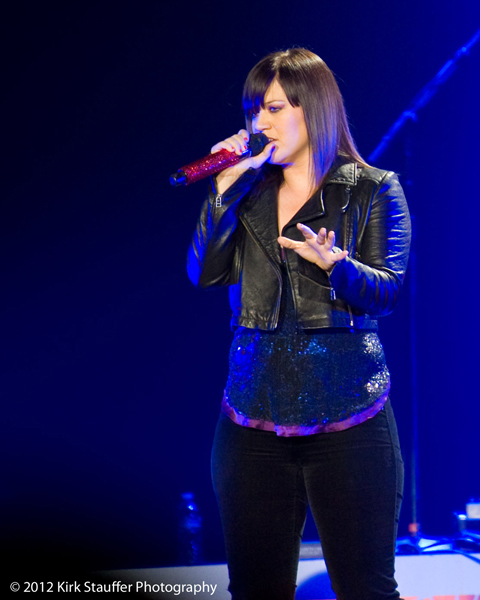 Kelly Clarkson, American Idol winner during its inaugural season in 2002, brought her Stronger Tour to the ShoWare Center in Kent this week. 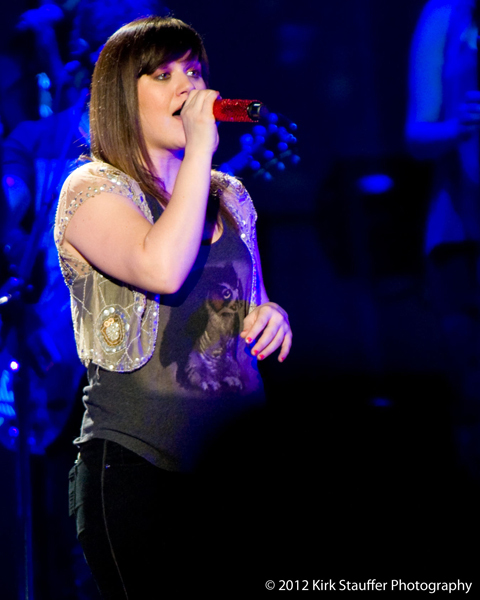 Clarkson’s powerful soprano voice thrilled the audience of 4000 and had them singing along with her opener, “Darkside,” all the way through her 4-song encore that included the title track of her latest album, Stronger. 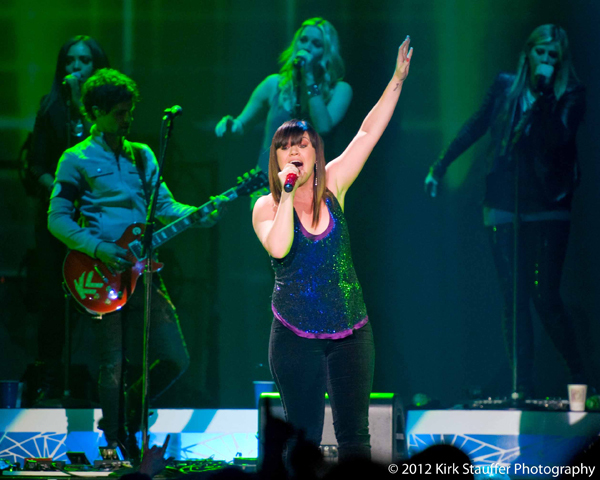 Written by: Kirk on 03/24/2012. Last revised by: Dagmar, our reviewer, on 03/25/2012. 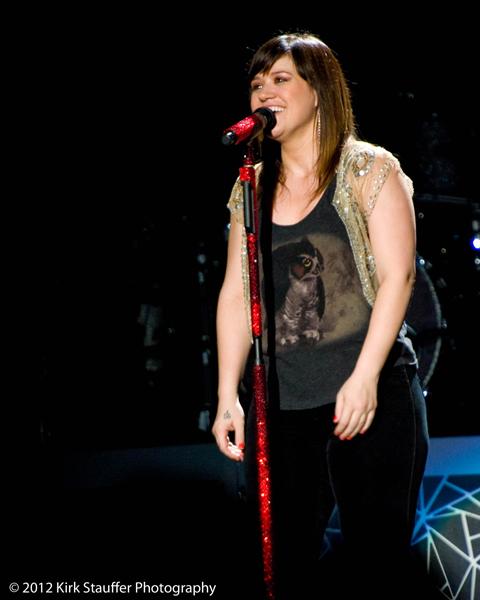 This entry was tagged Kelly Clarkson, Kent, Kirk Stauffer, posted by kirk, showare center. Bookmark the permalink.